I mange a popular men’s health blog, Talking About Men’s Health (talkingaboutmenshealth.com) and am looking for guest bloggers. You’ll be in good company: Sam Feuss has done a series of interviews for us and Barry Birkett has contributed several great pieces. My definition of “men’s health” is pretty broad, and includes lifestyle, fitness, nutrition, policy, mental health, physical health, relationships, etc. Pretty much anything as long as it deals with men. We even have pieces aimed at women who are looking for ways to help or better understand men. 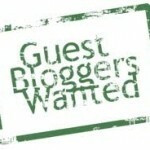 Please let me know if you’re up for a guest post. And feel free to pass this on to anyone you know who might be interested. Dad of three, best-selling author, speaker, nationally syndicated columnist and radio host, Marine Corps vet, spokesperson, and, generally speaking, a pretty nice guy.